We have a great day lined up and we expect a very nice turnout! There will be many local Rescue Groups at DoggieStock with wonderful dogs and cats available for adoption! 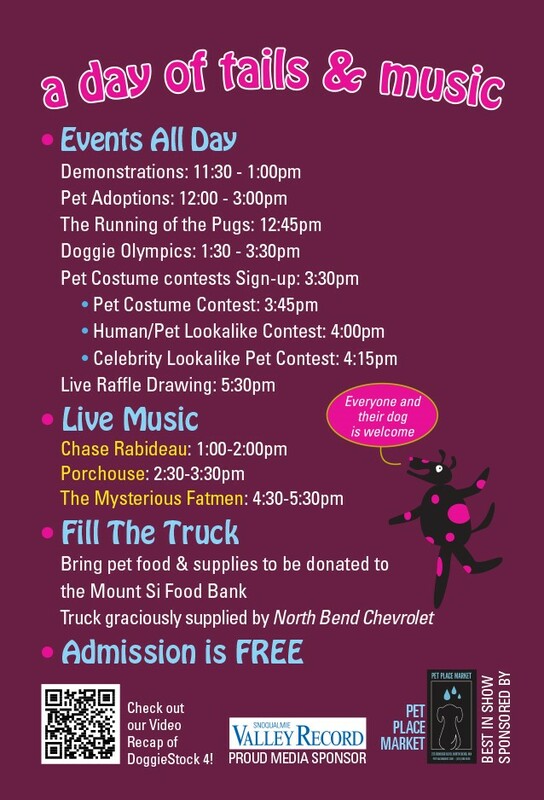 Also, don’t forget to bring pet food and/or supplies! We will be collecting donations for the Mt. Si Food Bank. Stay up to date by following DoggieStock on Facebook! 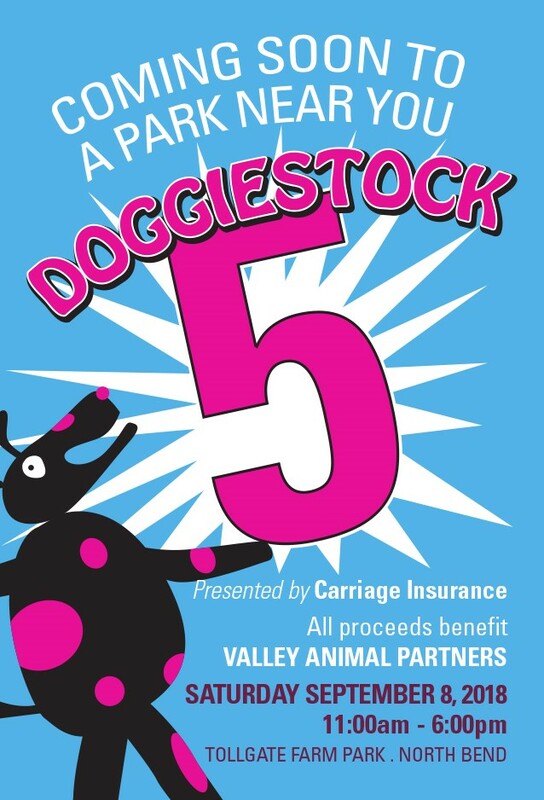 DOGGIESTOCK benefits VAP (Valley Animal Partners), a group of local businesses and individuals interested in the welfare of locally owned pets. With ever-increasing costs of veterinary care, many pets in our area don’t receive the medical attention they need— especially spay & neuter services. VAP would like to change that. Their mission is to raise funds to help Snoqualmie Valley seniors, veterans, and families with limited income to spay or neuter their pets. Together we can make a difference! It costs VAP between $38-79 to spay or neuter a cat and $38-119 for a dog. Prices vary according to age and size, male or female. On average each animal runs about $100. VAP has provided assistance for over 1000 pets in the Snoqualmie Valley as of April 2018! 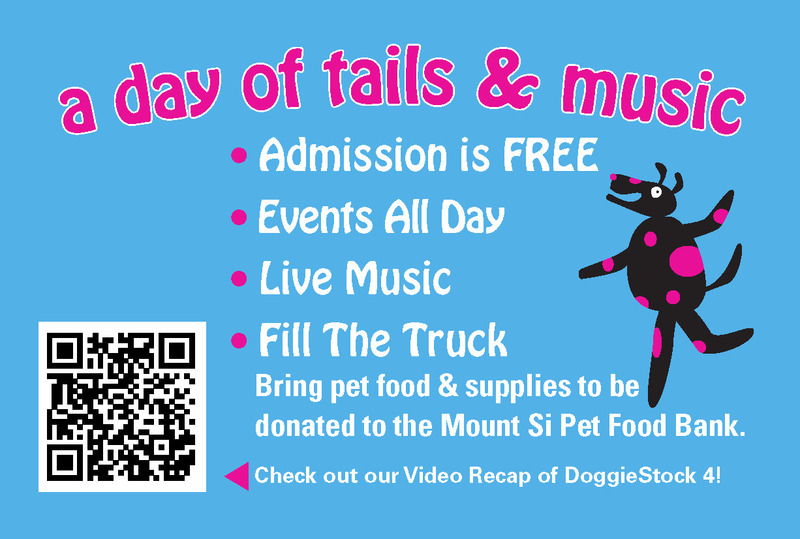 Come and support Valley Animal Partners and enjoy a day of Tails & Music!